Marc Jacobs Beauty launched their About Last Night Style Eye Con No 20 Eyeshadow Palette ($99 for 20 x 0.03 oz/ 0.85 g) earlier this past fall. I ordered mine back in August and this review has been on my to-do list for ages. If you haven’t had a chance to try it out I recommend you do and that you put it on your wishlist or Sephora shopping list because it is amazing. It’s a huge palette that contains 20 eyeshadows, all with amazing textures, smooth finish, rich easy to layer pigment, no fall out even when you apply on the eyes, long lasting power and basically endless combinations. I was really blown away by the quality and colors. There is only 1 shade I’m not crazy about which is the yellow gold shimmer, but the rest of the colors are top notch and ones I can actually wear. A closer look at the palette and swatches. Each of the shades have names but they aren’t labeled on the palette so I’ve split it into the top half and bottom half. The shimmers are absolutely stunning and buttery soft. There are a few mattes with sparkle flecks – they perform really well with no fall out. The mattes are among the best mattes I’ve tried. Often times super pigmented mattes can either be chalky unless you apply with a detail brush. These mattes apply well with a loose fluffy brush or dense brush equally well and it’s a huge plus that I experienced no fall out. If you need something simpler and with a lower price point, I’d recommend either the Marc Jacobs Beauty Style Eye Con No. 7 in Social Butterfly or either of the Dior 5 Couleurs Splendor Eyeshadow Palettes for holiday. Both can give you a similar effect depending on your color preferences and are just as good in quality. Bottom line is I don’t know how else to describe this except as “amazing.” As soon as I realized what the price point was, I thought to myself there was no way I could love it at that price. I was wrong. Every single color has an A+ texture, finish and pigment. However as always I’d only recommend you buy an eyeshadow palette if you think you’ll use most of the colors. My take is that it’s a great buy and well worth the splurge. If I could only have one new eyeshadow palette for the holiday this would be it. 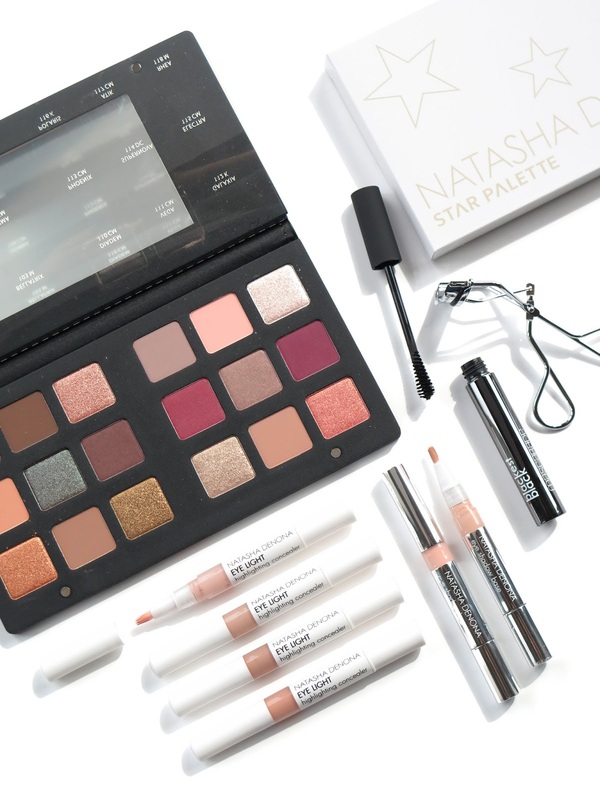 It’s one I think I could travel with and have everything I need for the eyes in a single palette – base, highlight, color, blending colors and liner shades. If you’re a Sephora VIB Rouge Member, the 20% off sale starts online and in stores on Thursday the 4th. By now you should have received a card in the mail with a coupon that you can use. Online the code will be 20ROUGE from 11/4 to 11/7 so if you’ve reached that tier I recommend waiting for the sale if you have this on your list. Have you checked out this palette yet? If not do you have any other Marc Jacobs Beauty eyeshadow palettes that you liked? I’ve reviewed several which I’ll link below. You can find the Marc Jacobs Beauty About Last Night Style Eye Con No 20 Eyeshadow Palette exclusively at Sephora and Marc Jacobs Beauty. It is limited-edition.